Online at the link below – is one of the last Dept. 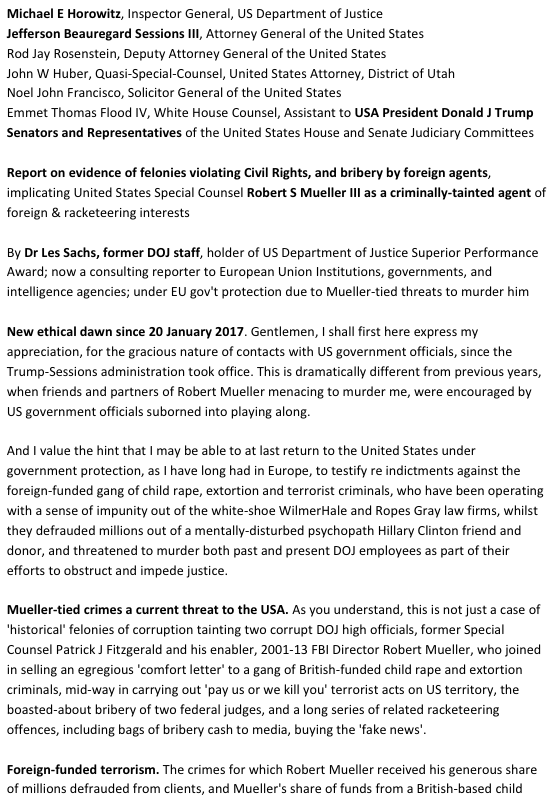 of Justice files Jeff Sessions read before resigning, a filing with DOJ Inspector Michael General Horowitz, made Thursday, 25 October 2018, by an ex-DOJ employee, on a history of crimes involving Robert Mueller. 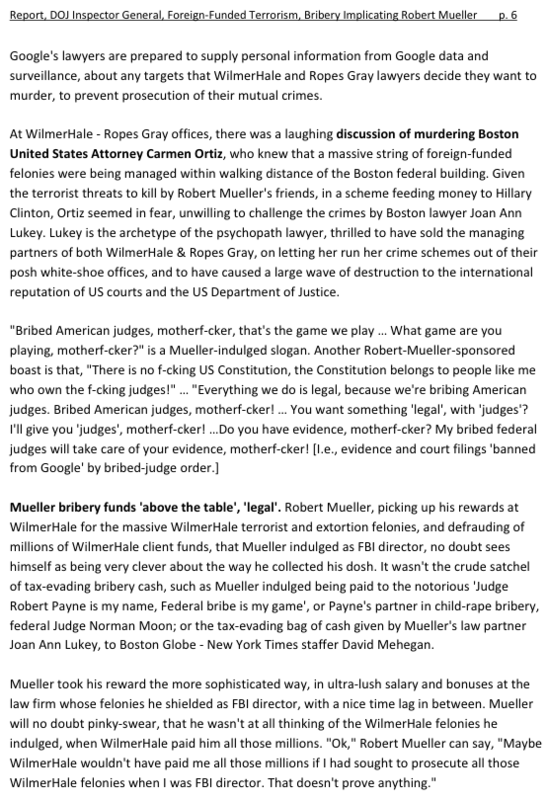 One key take-away from the 28-page report, is that Mueller had received funds from a foreign criminal group seeking to damage the presidency, in a scheme involving defrauding millions from a Hillary friend and donor via Mueller’s law firm, from which Mueller richly profited, whilst two federal judges were bribed. 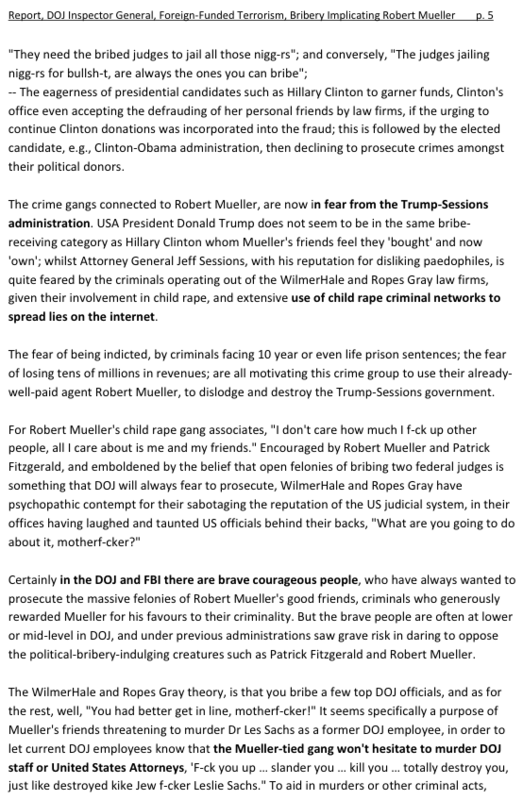 Another is that key media agitating against the President – NY Times etc – are doing so, in part because these media outlets fear felony indictment in the schemes with Mueller, due to having taken bribes to create ‘fake news’ for criminal purposes as they worked with Mueller’s law firm. 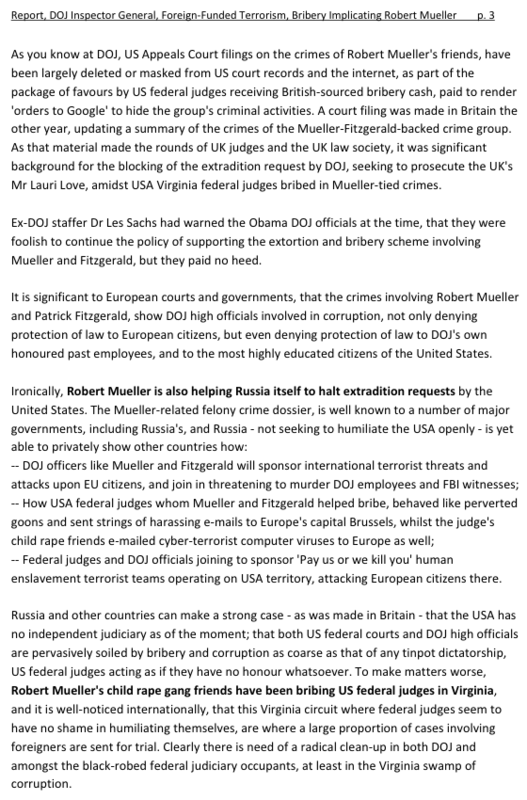 Extradition requests by the USA are being denied, given other governments have files on the Mueller-tied crimes, which prove corruption in both the US judiciary and DOJ. 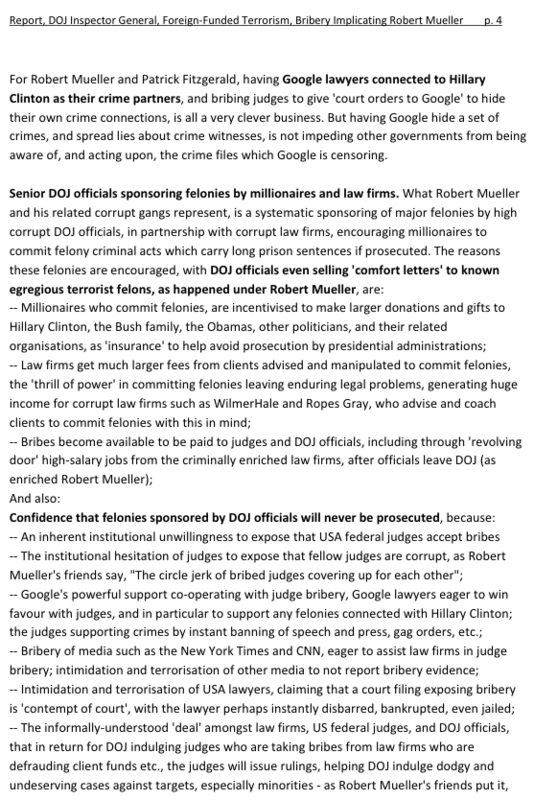 Here’s the .pdf of the DOJ report online, which is now a significant part of behind-the-scenes discussion amongst the White House, DOJ and the Congressional Judiciary committees. 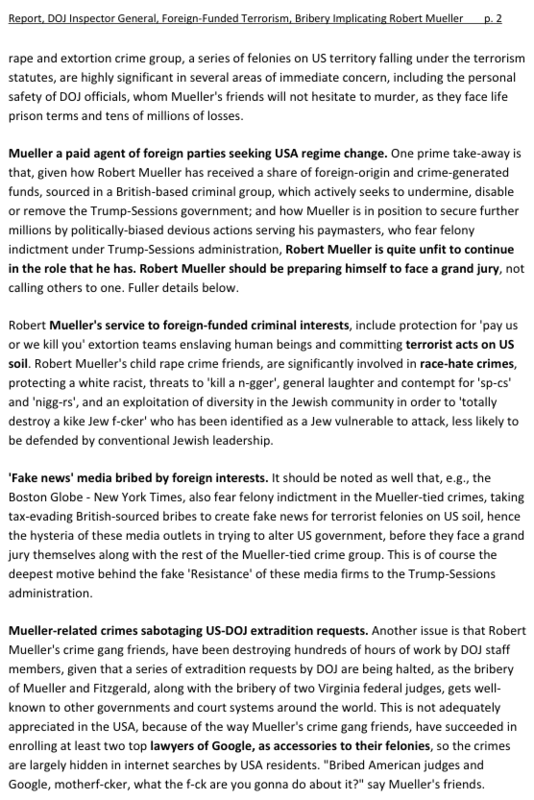 You perhaps noticed the US President’s increased confidence re the ‘Mueller threat’.